The conference is expected to attract hundreds of participants from India, US, Canada, Singapore, Kuwait, Algeria, Saudi Arabia, UAE, Nigeria, and Australia. Safety India 2017 will highlight key discussion topics on the areas of Road Safety, Industrial Hygiene and Occupational Health, Sustainability Initiatives and Avenues, Risk Management, Process Safety and Business Transformation. The two-day professional development conference and exposition runs on February 16-18, 2017 at the Trident Hotels, Hi Tech City, Hyderabad, and will be preceded by a one-day workshop on February 15th on Sustainability. This event will attract safety practitioners across industries including manufacturing, construction, oil and gas, automotive, IT, biotechnology and many others. Presenters at the event will include global thought leaders from the National Safety Council-India;, National Road Safety Council, Ministry of Road Transport & Highway-Government of India;, Underwriters Laboratories Inc., the University of Fredericton - Canada, Birla Carbon- US, ASSE-USA, Liberty Mutual Insurance-USA, ASSE-Global Region, Talcon Global Services-Nigeria, Tata Motors-India, Dr. Reddy’s Laboratories-India, ASSE-Kuwait Chapter, among other prominent institutions. One of the highlights of the conference is the D.L. Shah Trust/ASSE HSE India Award Ceremony which rewards three HSE professionals every year, who reside and practice their profession in India in the areas of Safety & Health, Environment, and/or Sustainability. “Awardees are making significant contributions in their field for their employers, nation, and in both private and public sectors including community services,” said Jitendra Patel, ASSE Ambassador and Chair of DL Shah Trust/ASSE Award program. For more information, please visit http://www.asseindiapdc.org/awards-honors. This year, the expo will include 15+ industry-leading exhibitors of diverse HSE products and services such as: Velocity EHS, the Board of Certified Safety Professionals (BCSP), and the University of Fredericton. Some of this year’s sponsors include Tata Motors and BCSP. 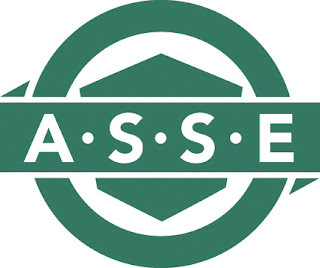 ASSE opened its first India chapter in Chennai, Tamil Nadu in March 2012. Since then, membership has grown significantly with the addition of three new chapters in Maharashtra, Andhra Pradesh and Telangana and several ASSE student sections across India. ASSE’s first professional development conference, Safety India 2014, took place in Chennai in May 2014.